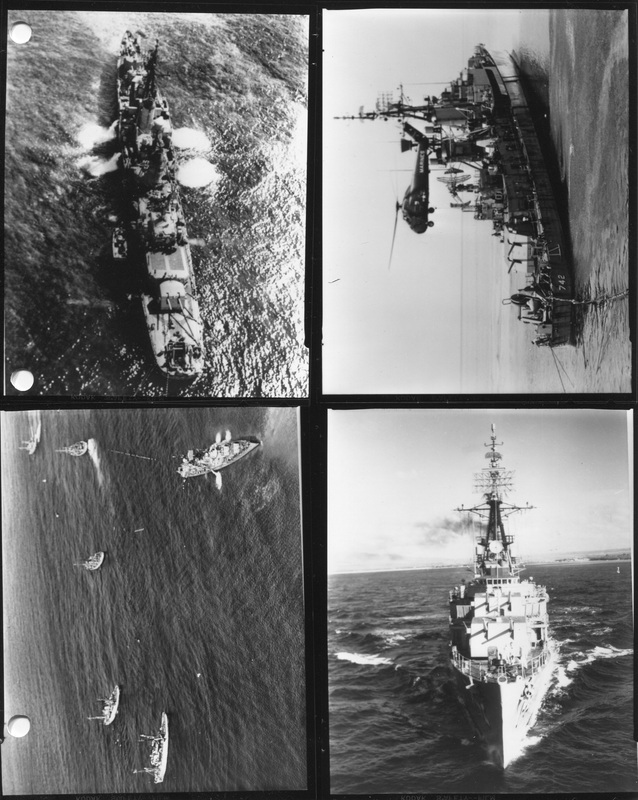 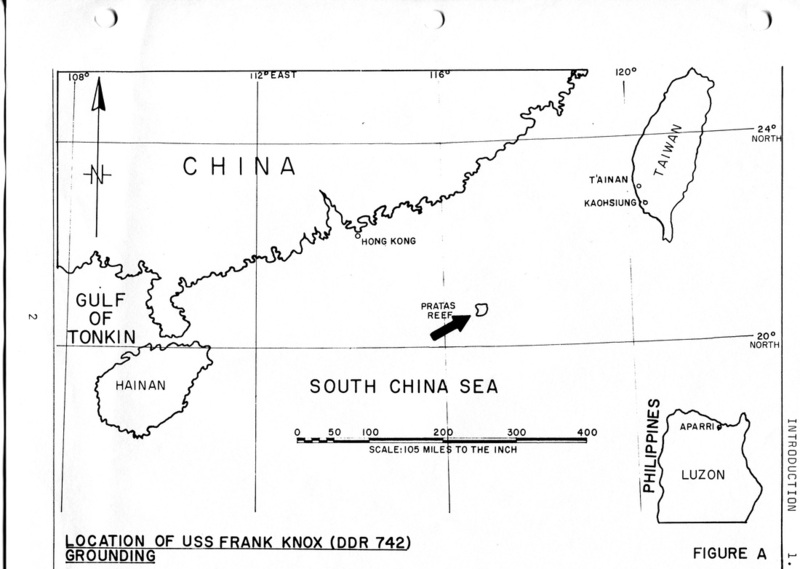 In the early hours of 18 July 1965, while underway at sixteen knots in the South China Sea, USS Frank Knox ran hard aground on Pratas Reef, some two hundred miles east south east of Hong Kong. A salvage effort was immediately begun, and soon involved salvage ships Grapple and Conserver, tugs Munsee, Cocopa and Sioux and submarine rescue ship Greenlet. 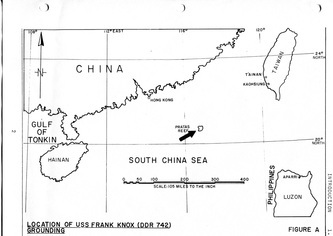 Though Frank Knox was initially only somewhat damaged, several attempts to pull her free between 20 July and 2 August were unsuccessful, and the ship was driven further onto the rocks by waves from a pair of passing typhoons. 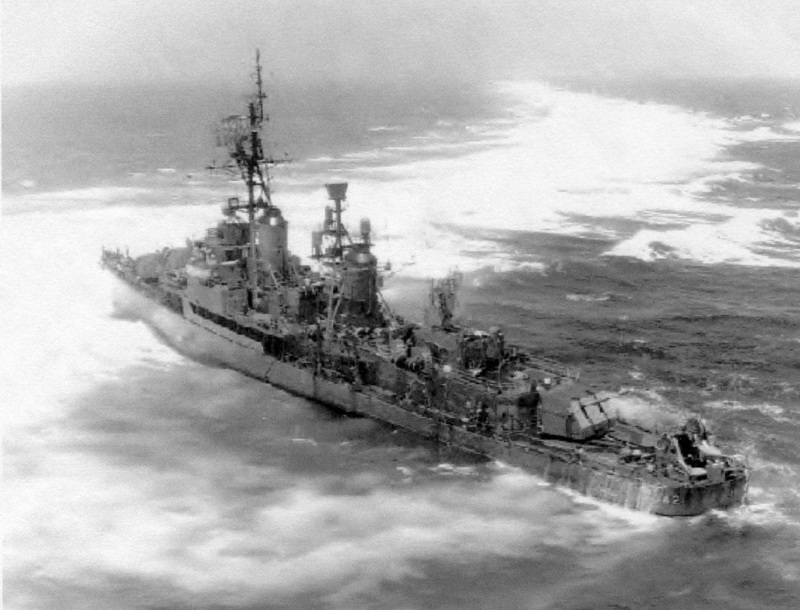 She was now much more severely holed, with machinery spaces flooded and hull structure weakened. 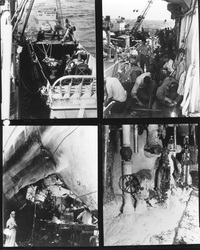 When conventional hole patching and water removal methods proved inadequate, plastic foam was employed to fill flooded compartments, thus expelling the water and greatly enhancing Frank Knox' bouyancy. 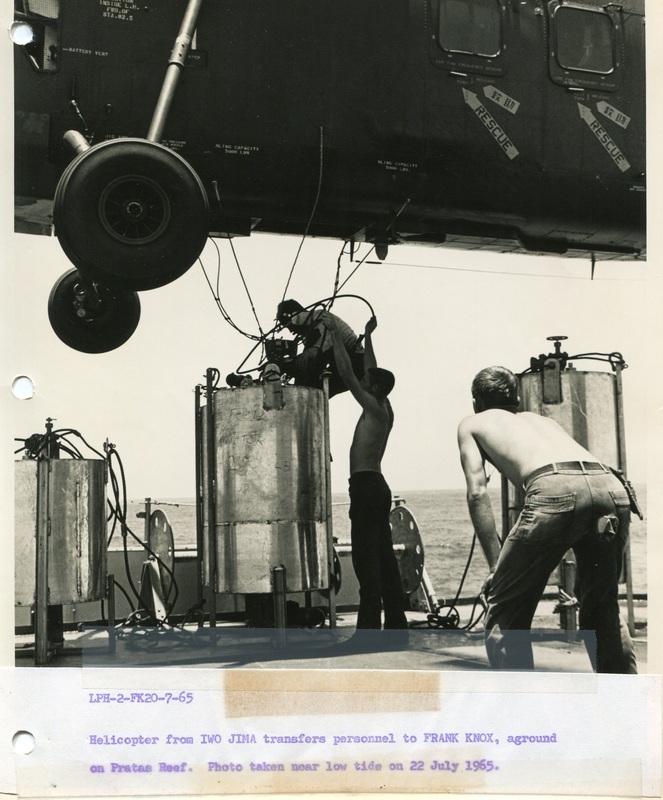 Her hull was reinforced by welding stiffeners to the main deck. 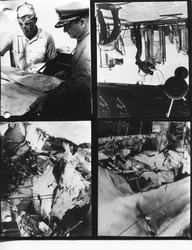 Explosives were used to break up coral around the ship, but these also produced further damage, which led to a need for more foam. 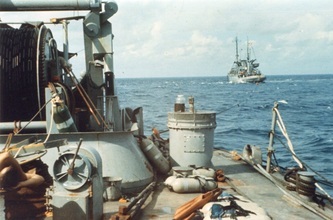 Another pulling effort took place on 11 August, with a ship steaming by offshore making waves to help break the reef's grip on the grounded destroyer, but this also failed. 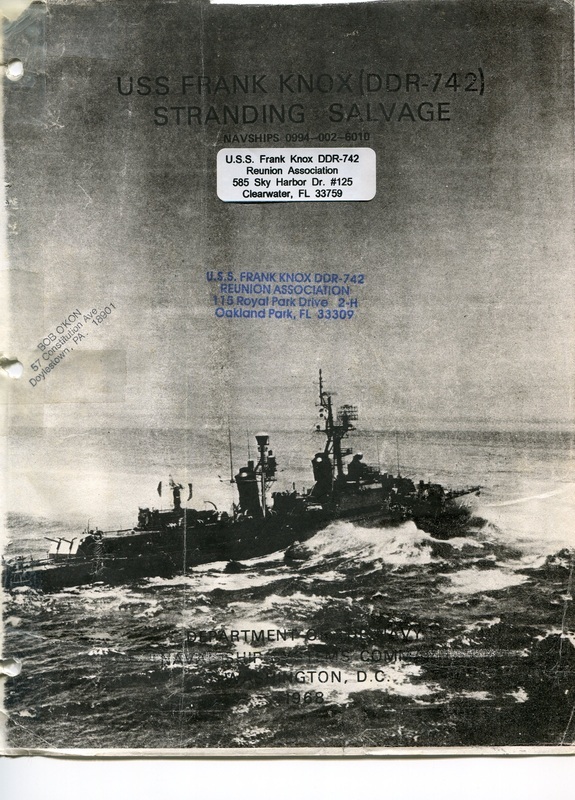 Salvage tackle was re-rigged, more weights were removed from Frank Knox, pontoons were attached to her hull, additional foam was generated and the destroyer Cogswell arrived to make waves as required. 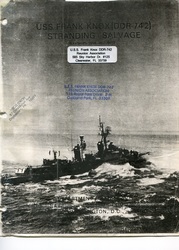 A pull on 22 August produced some favorable movement and, on 24 August, USS Frank Knox was finally afloat, after nearly six weeks of salvage work in a very difficult environment. Repaired in Japan, she gave the U.S. Navy another six years of service, followed by two decades as a part of the Greek Navy. 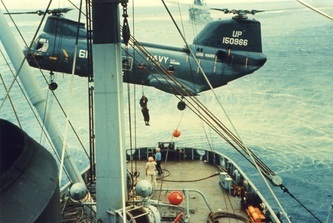 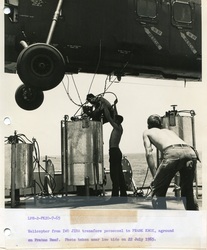 This view was probably taken at about the time she was finally refloated on 24 August 1965. 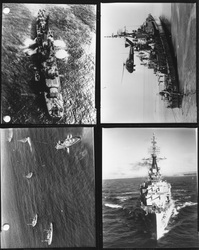 Ships pulling are (from left to right): Grapple (ARS-7), Conserver (ARS-39), Sious (ATF-75), Greenlet (ASR-10) and Cocopa (ATF-101).